Given that we’re heading into the homestretch of this season of Grey’s Anatomy, it seems a storyline that has been building all season long might finally come to a climax: We might be about to meet Jo Wilson’s husband on Grey’s Anatomy. It was revealed last year that Grey’s Anatomy was about to tackle the serious topic of domestic violence. 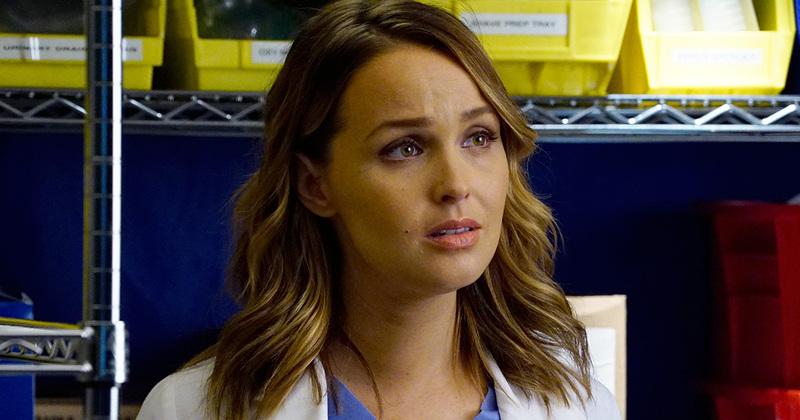 You might recall that, at the end of Season 12 (before Alex decided to go all Season 2 and beat up DeLuca), Dr. Jo Wilson (played by Camilla Luddington) revealed that she was married and had been in an abusive relationship in her past. She even revealed that Jo Wilson wasn’t her real name, and that she wouldn’t file for divorce in case her husband found out where she was. All of this, you might remember, was why she couldn’t marry her partner, Alex Karev. It’s now been teased that Jo Wilson’s estranged husband might soon make an appearance on Grey’s Anatomy. Speaking to Entertainment Weekly, one of the show’s executive producers, Debbie Allen, teased that there was “a big chance” that we might get to meet this elusive character. Indeed, Allen teased that the plot could continue well into next season. Expanding on this, Justin Chambers, who plays Alex Karev, also teased that we might get introduced to Jo’s husband, too. Argh, all this teasing is driving us cray cray! Luckily, Grey’s Anatomy continues Thursdays on ABC.